USB peripherals and USB Devices are around for more than a decade and nothing much has changed when it comes to the basic protocols. People still use it, reason being, USB storage devices are so minuscule and portable. But at the same time, what we don’t realize is the perils of losing our data. To deal with this, we can do two things. You should always back up the data on your USB drive somewhere safe, like a cloud drive. You should consider encrypting the USB drive. Especially, if you are carrying sensitive information. Here are some of the best USB encryption software for you to try. If encryption sounds new to you, don’t worry its a fairly simple process. In simple terms, encryption is an act of transforming data so that no unauthorized person can access, read, or modify the data. This transformation is done by complex algorithms which use passwords or key files. Now, if the person on the other side wants to access the data, he needs to provide the password or key file. Encryption is one of the most effective ways to achieve data security. Remember the times you’ve entered a password to see the credit card or bank statement received from your bank via email? Well, that is encryption for you. Do We Really Need Encryption for USB Drives? Usually, it is not mandatory. But, if you are carrying personal or sensitive information then you should consider encrypting your USB drive. 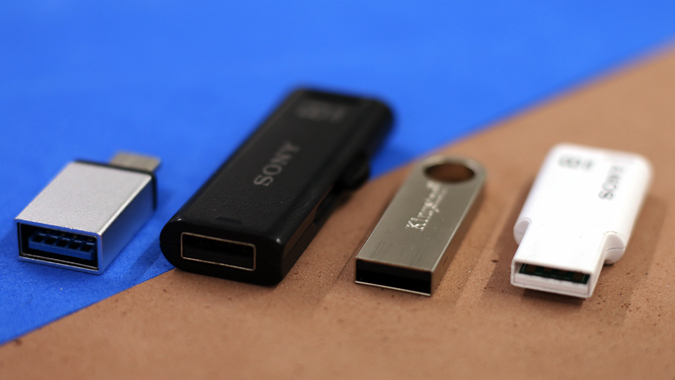 Unlike a regular hard drive, USB drives are smaller in form factor and easy to lose or forget in public places like coffee shops and airports. In the event of any mishap, you don’t have to worry about the data on your USB drive if it is encrypted. Because no one can access the data without proper authorization. 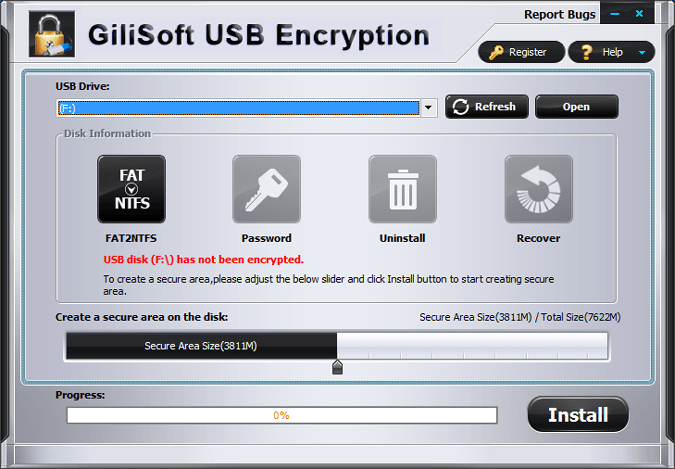 Gilisoft has been my personal favorite when it comes to encrypting USB Drives. 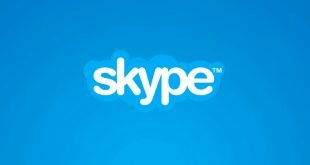 Apart from its metallic UI which is strikingly outlandish, the program does come bundled with effective encryption features. Gilisoft is pretty easy to use and will run automatically once the USB is detected. Users can choose the size of the encrypted partition and that’s it, the application will automate other processes. By default, Gilisoft uses on-the-fly AES-256 algorithm to encrypt all your data. Moreover, in the event of any emergencies, Gilisoft also has a recovery option to recover your data. Gillisoft USB Encryption is built for users with little to no knowledge of encryption. However, a hefty price of 50$ is too much to ask for a USB encryption Software. There is a free trial version available but it is restricted to 10 uses only. Moreover, the app is Windows only which makes it highly platform dependent. While there is a slew of USB encryption software for Windows, you hardly get any for macOS. Kruptos 2 uses the same AES 256-bit encryption algorithm. You get different variants for Windows, macOS, and Android but it’s not free. You can get the trial version for 30 days and later you have to go premium by paying a one-time fee of 24.95$. The USB encryption works for USB flash drives, memory cards & external HDD. 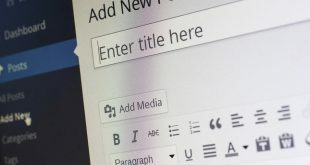 The most notable feature is that you can drag and drop files to the software instead of browsing and selecting files. As soon as you drop the file in the app, press Encrypt and it’s done. The encryption process is fairly quick and that’s a plus point. You can also choose to have different passwords for different files or one master password for everything. 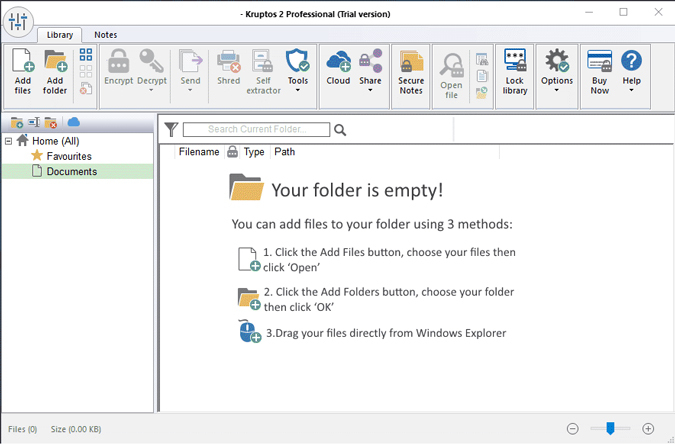 Kruptos 2 is pretty quick and easy to use but it gets sloppy while dealing with larger files. A 400MB file took 20 seconds to encrypt and 6 seconds to decrypt which is significantly slower compared to VeraCrypt. Also, you cannot encrypt an entire partition or system drive. USB Safeguard is a portable utility that can be used to encrypt your drives. Just like the other USB encryption software, USB Safeguard also uses the AES-256 algorithm to encrypt files, folders, and drives. The UI is fairly minimal with just the right amount of options required to encrypt drives. The good thing about the app is that it allows you to create virtual containers to safeguard your data. Moreover, USB safeguard automatically locks the device when it is unplugged from the system. And this also works if the user stays inactive for a said period of time. It also supports encryption of HDD hard drives, SSDs, memory cards etc. Although USB Safeguard is free to use, the free version allows encryption only up to 2 GB. Also, USB Safeguard is windows only. VeraCrypt is arguably one of the best and most popular open-source encryption tools. 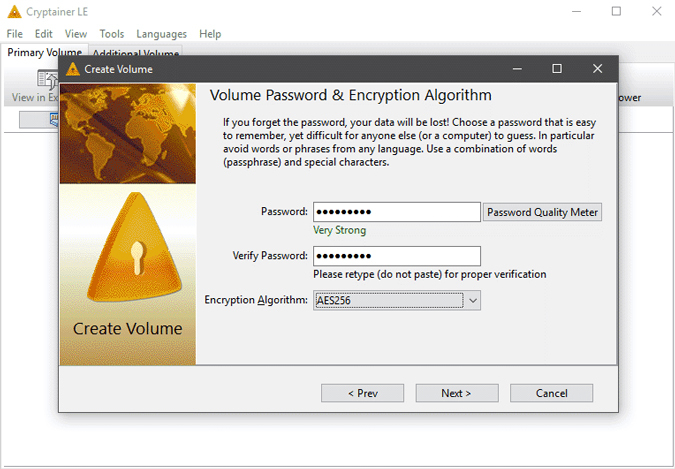 Moreover, it is a successor to TrueCrypt which ceased to exist a few years back. VeraCrypt is free and is available for Windows, Mac OS, and Linux. Additionally, VeraCrypt supports AES, Twofish, and Serpent encryption ciphers. If you want to, you can create hidden encrypted volumes within the regular hard drives and USB drives. This option is particularly useful when you want to hide the fact that you are encrypting data. 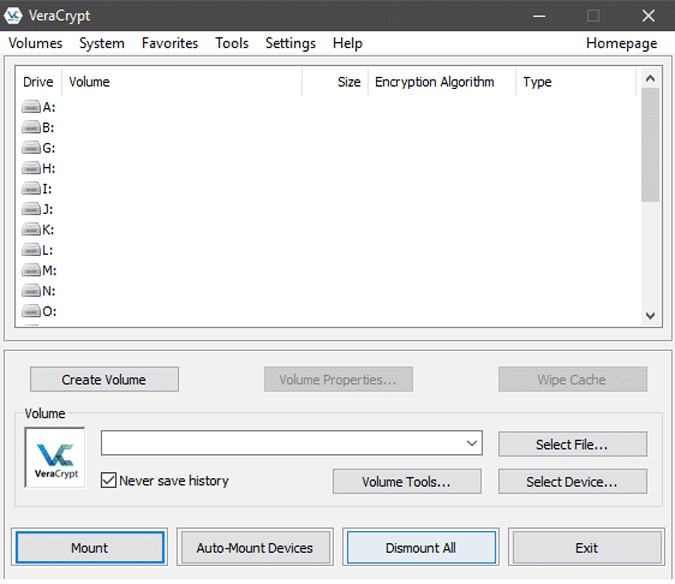 Most of all, VeraCrypt makes it very easy to encrypt and decrypt drives and files using its step by step wizard. VeraCrypt is the ultimate freeware to encrypt USB drives. However, if you have no experience with encryption software it might be tricky to understand because of the traditional UI and options. Algorithm: AES-256, Twofish, Serpent, Camellia etc. Another interesting feature of this tool is the timed execution. One can lock down the file for a set period of time and set it to unlock automatically. It also has a built-in mechanism to resist brute force attacks from software. In case, you use your flash drive to transfer data from Desktop to your mobile, encryption might ruin that usage. But, AxCrypt has decryption apps for Android and iOS so that you can open encrypted files on your smartphone as well. With all that said, it is a file encryption tool and it cannot create encrypted volumes like VeraCrypt. Also, the free program supports AES-128 which is slightly inferior to AES-256 encryption. The mobile applications and MAC encryption software is paid which makes the free variant highly platform dependent. Platform: Windows and Mac. Decryption apps are available for Android and iOS. 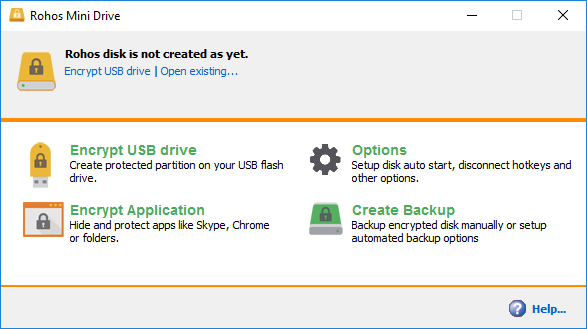 If you are a dedicated Windows user and don’t want to use or buy another software to encrypt your USB drives then the built-in BitLocker is just the right option. The only caveat is that it comes built-in Windows Pro version onwards. Meaning, you won’t get it if you are on the Home variant. 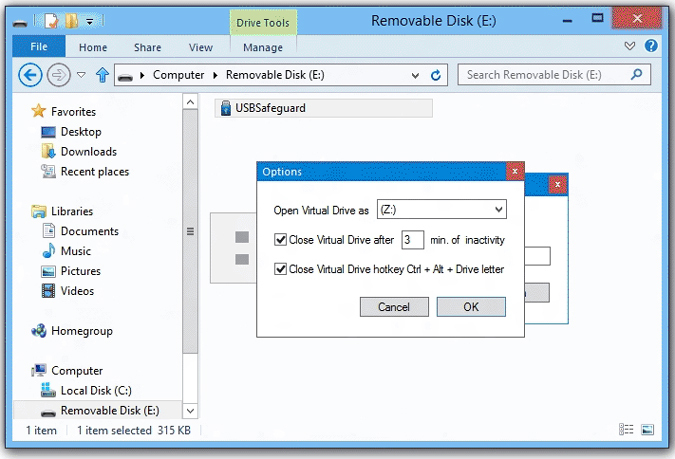 Using BitLocker you can encrypt entire drives and volumes/partitions with just a click or two. 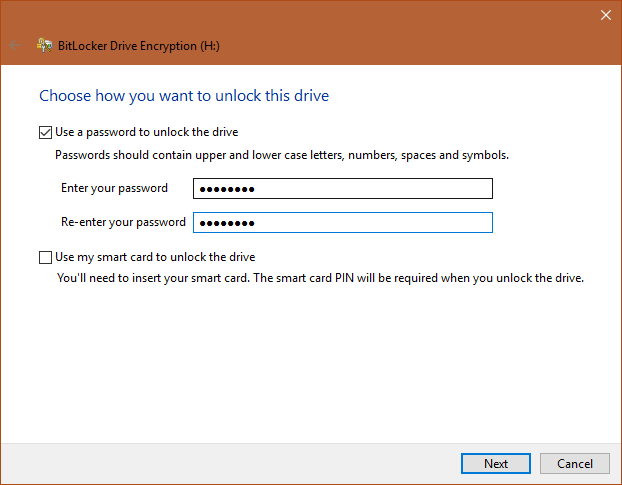 Depending on your settings, BitLocker users 128-bit or 256-bit AES encryption. Since BitLocker is deeply integrated with the Windows operating system, it gives you better speed while encrypting and uses hardware encryption using TPM (Trusted Platform Module). Moreover, BitLocker uses three different types of authentication methods called “Transparent Operation Mode” with uses TPM to automatically decrypt files, User authentication like PIN and Password, and USB Key Mode where you have to insert a USB drive containing a special key to decrypt the encrypted files. The good thing is, you can mix and match all those authentication methods for increased security. For instance, you can use all three authentication methods at the same time. BitLocker is built into Windows so you don’t have to pay anything extra. However, BitLocker is not available for users using Windows Home version. There is no way to get access to BitLocker on Windows Home variant. The only option you have is to upgrade to Windows Enterprise, Ultimate, Pro, Education, or Server edition and this will cost you minimum 100$. Pricing: Free | 100$ for Windows Home. 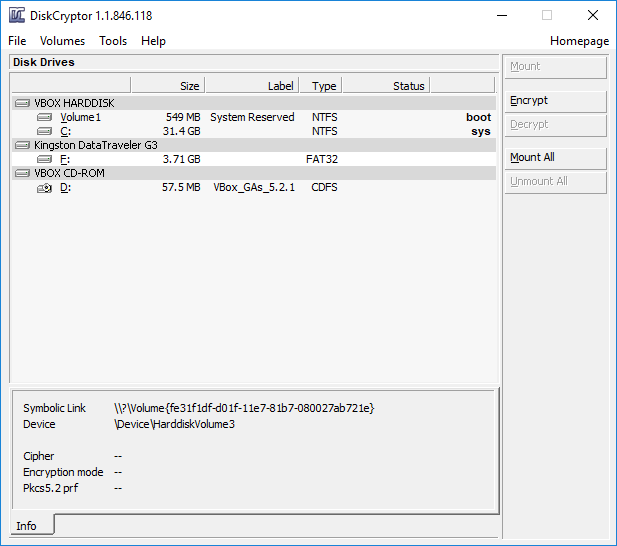 DiskCryptor is yet another popular, free, and open-source drive and volume encryption tool for Windows. What’s good about DiskCryptor is it gives you a choice between AES-256 bit, Serpent and Twofish algorithms to encrypt and decrypt USB drives. Apart from USB drives, DiskCryptor can be used to encrypt almost any external storage device like CD/DVD, external hard drives, etc. In case you want to, the software can also auto-mount the encrypted partition or drive for quick access to your files and folders. Of course, you need to authenticate yourself before being able to access the data. Though DiskCryptor supports multiple encryption algorithms, it is very fast and the speed is comparable to non-encrypted drives. If you are someone that needs more control over how DiskCryptor works and not afraid of the command prompt then there is an optional Command-line Interface (CLI). To top it all off, Diskcryptor is very small in file size and uses very little system resources. There is nothing to complain about DiskCryptor apart from that it is only available for Windows. Rohos Mini Drive has a very simple, minimal app with easy to use user interface. 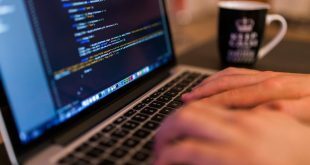 Encrypting a USB drive is just a few clicks and good for users with minimum knowledge of computers. Just like every other software on this list, Rohos uses AES-256 bit algorithm and supports on-the-fly encryption. The good thing about Rohos is that it comes bundled with Rohos Disk Browser utility that allows you to read and write data to the encrypted USB drive on a guest operating system. You can also hide a folder or any other application directly on your USB drive. While encrypting a USB drive, you can create a restoration disk which allows you to recover encrypted data in case of emergencies. For added security from keyloggers, Rohos Mini Drive supports a virtual keyboard. You can use this virtual keyboard when using the USB drive on other systems. Most of all, Roho Mini Drive is also available in a portable variant. With the portable variant, you don’t need to install Rohos it, just open the exe file. The base version is free but lacks advanced features like autorun, support for encrypting regular hard drives, etc. Also, you can only create two 4GB encrypted containers which mean that you can encrypt a total of 8 GB. To remove these limitations, you need to upgrade to the premium variant priced at 25$. 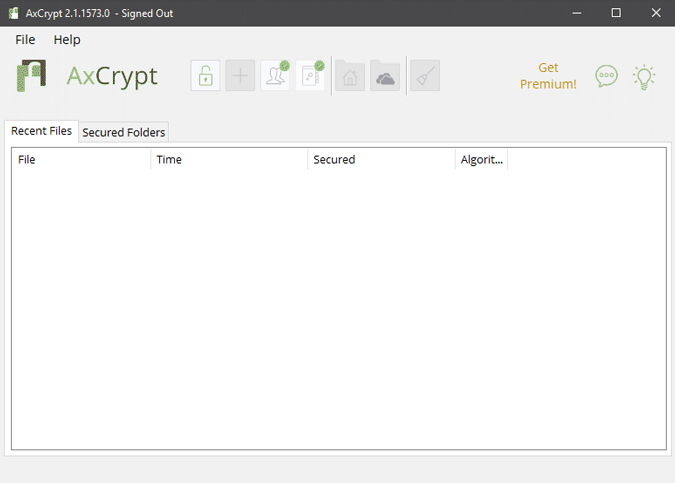 Cryptainer LE is another USB encryption software. It can encrypt almost any storage device, be it your regular hard or a removable device like USB or CD/DVD. The best thing about Cryptainer LE is that it gives you a choice between using AES-256 bit algorithm or 448-bit Blowfish algorithm to encrypt the USB drive. Just like VeraCrypt, you can create encrypted containers and use them to quickly read and write data as you wish. These encrypted containers appear just like any other drive in the File Explorer. This gives you the ability to perform all regular activities like a copy, paste, new file/folder creation, modifying metadata, etc. Moreover, Cryptainer LE can also be installed directly on your USB drive so that no matter what system you are on, you will have access to all your encrypted files and folders. If you want to, you can even create self-extracting encrypted files and send them via email. Being a self-extracting container, the recipient doesn’t have to install Cryptainer LE in order to decrypt the file, all they need is the correct password. The software is completely free with one caveat, each encrypted container you create is limited to 100MB in size. But you can create an unlimited number of containers. For a regular user who wants to encrypt files like photos and documents, this is pretty good. You can remove this limitation by purchasing the pro version. All the above software are pretty good at USB data protection, but almost every one of them requires you to set up and configure the software to work properly and optimally. However, if you don’t want to deal with all the hassle of setting up the software and choosing between encryption algorithms then Kakasoft USB Security is for you. Kakasoft USB Security encrypts and password protects your data with just three clicks. Unlike other software on the list, Kakasoft USB Security installs directly on your thumb drive to encrypt and password protects all your data. Once encrypted, it will automatically prompt for the password whenever you plug-in the USB drive in any other system. It is that simple to use, nothing more nothing less. The app is simple and intuitive to use and you get almost everything in the free variant. The only thing I can complain about is platform dependency. Price: $22.95. There is a free trial available if you want to try before purchasing the software. In a nutshell, encrypting your drives or at least certain volumes that are very important to you is always recommended. I personally ensure that my pen drive or any other portable devices are encrypted in order to ensure that my personal data does not fall into the wrong hands. In case you deal with smaller files, AxCrypt or Cryptainer can be a good option. If you are looking for a BitLocker alternative and something which can function cross-platform, VeraCrypt is a good reliable option. For one-off cases, you can try Gillisoft or Kruptos 2. For any queries or issues, let me know in the comments below and I will get back to you.